The Self-Publishing Handbook by Brad Pauquette was written to be a resource for writers. Years and years of publishing experience have been condensed into this easy to read manual, in hopes that those considering self-publishing will make smart, educated choices. We could direct you to buy the handbook, but we’d rather give it away for free. We do our best to promote education within the self-publishing community, and if one person’s self-publishing experience improves because of this book, that’s worth it to us. Through December 28, there are two ways you can get a copy of The Self-Publishing Handbook for free. 1. Sign up for our mailing list. If you want a version of the book you can read anywhere, join our mailing list and receive a free PDF of the book, delivered straight to your email. We solemnly swear never to spam you, and you’ll get advance notice of seminars and giveaways, in addition to self-publishing tips you won’t find anywhere else. Click here to get your free PDF of The Self-Publishing Handbook. 2. Enter to win a paperback copy in our Goodreads giveaway. 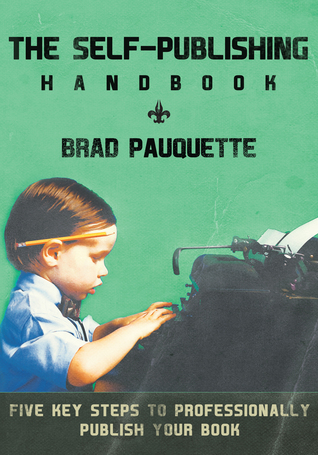 We’re giving away five copies of The Self-Publishing Handbook in a Goodreads Giveaway. If you prefer a good old-fashioned paperback, then this giveaway is for you! The giveaway is free to enter, and it’s open for entries until December 28. Click here (or the box below) to enter. The self-publishing industry is huge. With so many choices, it can be hard to know which services are worthwhile, and which ones are a waste of time and money. The Self-Publishing Handbook is your guide to navigating the publishing process, no matter which route you choose. From hiring professionals, to D.I.Y. tips, this compact book separates worthwhile services from scams, and gets you on your way to producing an excellent book. Nab a free copy of this book while you can!